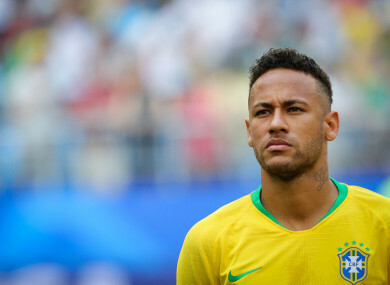 REAL MADRID HAVE dismissed as “absolutely untrue” reports of a €310 million bid for Paris Saint-Germain’s Neymar. “Real Madrid have made no offer of any kind to PSG or the player,” the European champions added. Neymar, 26, became the world’s most expensive player last year when he moved to PSG from Barcelona for €222 million. Email “Real Madrid deny making €310 million Neymar bid”. Feedback on “Real Madrid deny making €310 million Neymar bid”.